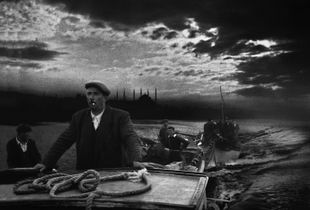 Born on 16th August 1928, Ara Güler was a Turkish photojournalist, also known as Istanbul's Eye. He died, age 90, in 2018. He studied at Getronagan Armenian High School. His father owned a pharmacy, but had many friends that belonged to the world of art. Ara came into contact with these people and they inspired him to opt for a career in films/cinema. He worked in film studios and joined courses of drama under Muhsin Ertuğrul. Later, he leaned towards journalism and abandoned cinema. 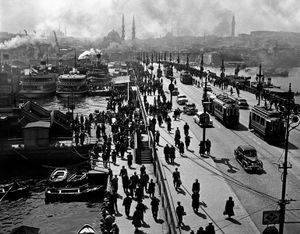 In 1950 he joined Yeni Istanbul, a Turkish newspaper, as a photojournalist. During the same time, he studied economics from University of Istanbul. Then he started working for Hürriyet. 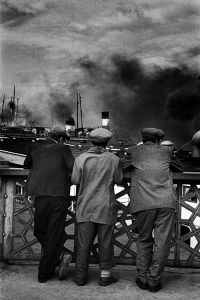 In 1958 when Time-Life, an American publication opened its Turkey branch, Ara Güler became its initial correspondent. Soon enough he started to get commissioned by other international magazines, such as Stern, Paris Match, and Sunday Times, London. 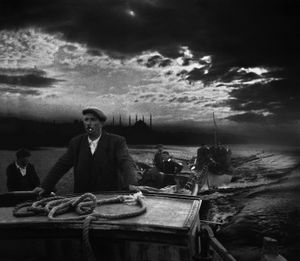 In 1961, he was hired by Hayat magazine as the chief photographer. In this time, he met Marc Riboud and Henri Cartier-Bresson, who recruited him to join Magnum Photos. Ara was presented in 1961 British Photography Yearbook. 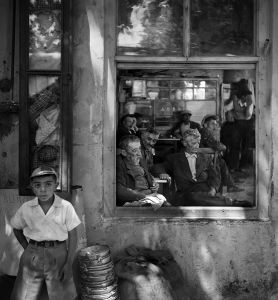 In the same year, the American Society of Magazine Photographers made him the first Turkish photographer to become the member of this organization. In 1960s, Ara’s work was used in books by notable authors as a means of illustration and were shown at different exhibitions around the world. In 1968, his work was displayed at the Museum of Modern Art in New York in a show called, Ten Masters of Color Photography. Moreover, his photographs were also shown in Cologne’s fair, Photokina in Germany. 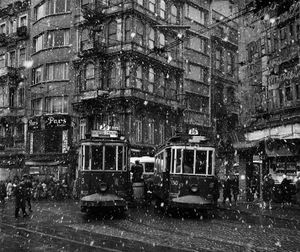 Two years later,Türkei, his photography album was published. His images related to art and its history were featured in magazines, like Horizon, Life, Time, andNewsweek. Ara traveled for photography assignments to countries, such as Kenya, Borneo, New Guinea, India, Pakistan, Afghanistan, Kazakhstan, Iran and other cities of Turkey. In 1970s, he also took photography interviews with noteworthy artists and politicians, like Salvador Dalí, Marc Chagall, Ansel Adams, Alfred Hitchcock, Imogen Cunningham, Willy Brandt,John Berger,Maria Callas, Bertrand Russell, Pablo Picasso, Indira Gandhi, and Winston Churchill. In addition, Ara also directed The End of the Hero, a 1975 documentary based on fiction on a World War I battle cruiser. 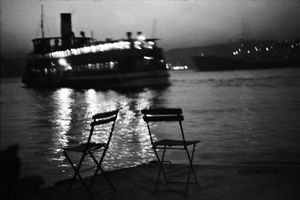 Ara's work is included in the collections of institutions worldwide, such as Paris's National Library of France; New York's George Eastman Museum; Das imaginäre Photo-Museum; Museum Ludwig Köln; and Sheldon Memorial Art Gallery. Foto Muhabiri, a book by Nezih Tavlas recounts the life of Ara in a chronological method and the book also highlights 80 years history of Turkey.